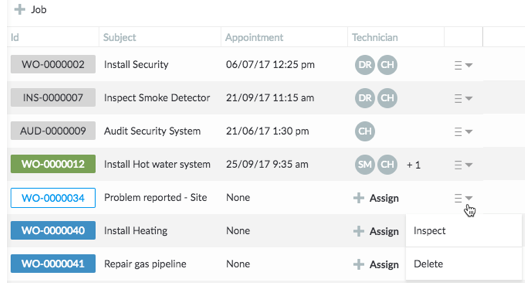 Access all jobs that were created for the required asset or site through the Jobs tab in the asset or site inspector. You can view all types of jobs associated with the asset or site under the Jobs tab. 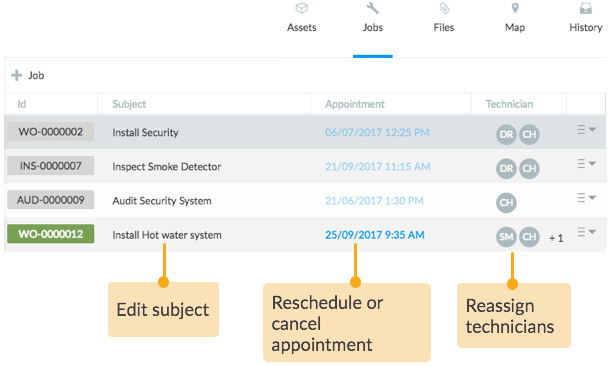 Make adjustments to the subject, appointment date and assigned technicians from here or click the Job ID to inspect the complete details in the job inspector. 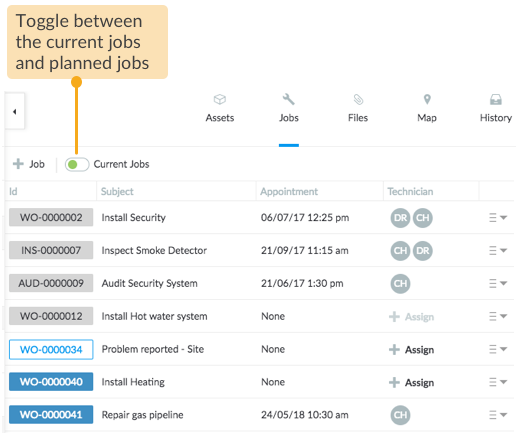 At times when you have to create jobs side-by-side to reviewing attributes of assets or sites, create jobs right from the asset or site inspector. A new row will be added. Fill in the subject, schedule the appointment in the next column and assign technicians. NOTE: As you fill in the fields, the job gets saved with a Job ID. 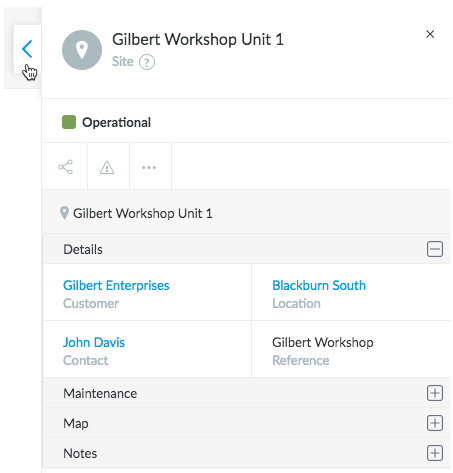 Use the Job ID to look it up in the Jobs area, where you can add other relevant details. To directly open the job inspector or to delete jobs from here, click the dropdown against the job row. Go back to Manage Assets and Sites.